#266. High Banks of the American near Colfax Cal. 18 x 30, oil on canvas relined. not signed; title on back. 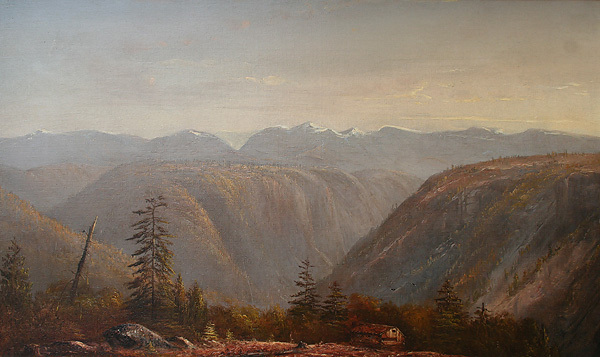 From a private collection to Alexander Gallery, NY, then to Sherwoods Spirit of America, Santa Fe, who offered it for sale in 2009. 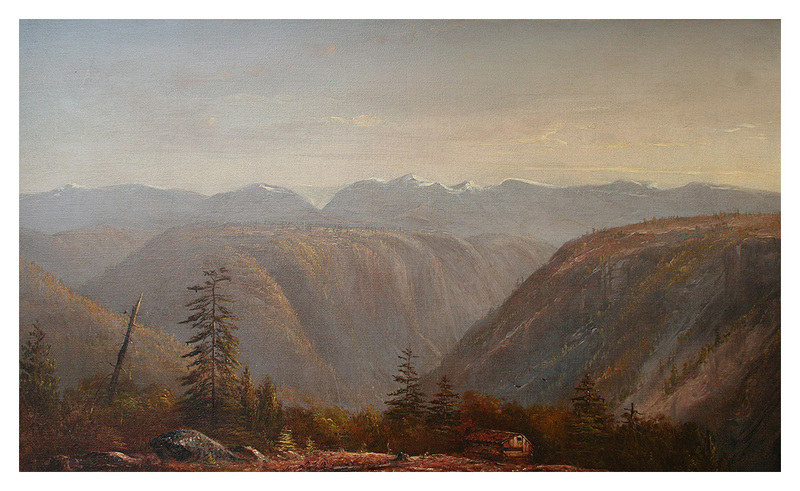 The title as rewritten on the new canvas liner appears to match the scene and the style is consistent with Munger's when he was in California, although the missing signature is mysterious. Image from email provided by Sherwoods Spirit of America, Santa Fe.